FAQ - Forex World – We Deliver Love! Send Money to the Philippines, Send Cargo to the Philippines, Cheap Flights & Travel Packages. 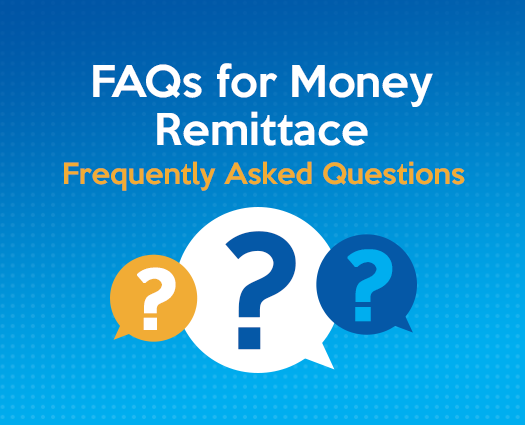 What are the requirements for first time remitters? In compliance with our AML/CTF program, there are certain things we require from an applying customer who want to use Forex. For more information on those requirements click here and view First Time Remitter details. What transaction type do you recommend for me to use? The type of transaction you choose really depends on what speed your beneficiary would need the funds, what location they are in and if they have a bank account? The most popular transaction types are Cash Pick Up because of the speed the funds are available and the convenience of pick up channels available. The other is Credit to Account for those who have beneficiaries with an existing bank account in one of the major banks. Service fees differ depending on the transaction type you choose. Please click here to see the different transaction types available and the fees associated with them. What are Forex' business operation hour? Forex is conveniently open Monday to Friday from 9am to 6pm to take your calls and emails. How soon after I make the deposit will my funds reach my beneficiary? This would depend on the transaction type you select. If the transaction type you select is through one of our partnered banks, the funds should be available between 1 to 3 hours after your deposit has been sighted by our team. Who are the remittance partners of Forex in the Philippines? BDO Remit (Banco De Oro, BPI (Bank of the Philippines Islands), Metrobank, Landbank, M.Lhuillier and Cebuana Lhuillier. Note: We credit to accounts in all banks in the Philippines including those that are not on this list. How soon after my deposit to a non-partner bank will the funds be available to my beneficiary? If you want to send money to a non-partner bank in the Philippines, there is a cut off time of 10:30am deposit if you would like the funds will be credited the same day (late in the afternoon). If cut-off time was missed the funds will be credited the next business day. Please note: Cut-off times include our team sighting your deposited funds in order to be processed before the cut-off time. How to become a member of Forex? If you have never sent money through Forex before, please click here to see our requirements in becoming a Forex Remitter. Once you register, you can start to enjoy the benefits of sending money Fast, Securely, Conveniently and at a great rate. What are the requirements of AUSTRAC? AUSTRAC is the governing body of Australia which monitors the movement of money. We at Forex are obligated to comply with the laws and policies stated in the AML/CTF (Australian Money Laundering and Counter Terrorism Financing) Act. Some of these which affect you are in first providing us with your accurate information as stated in our First Time Remitter form as part of our KYC (Know Your Customer) obligations. This is for safety and security of this country. AUSTRAC is not there to make things difficult for you to send money overseas, so for as long as both parties (Customer and Forex) are complying with the obligations there is nothing to worry about. In saying this please be prepared to answer questions that may be asked by our trained staff as these are part of what is required from us and part of our ongoing due diligence as a remitter. To learn more about AUSTRAC, please click here. What is the cut off time for other banks and door-to-door? With our partner Banks, such as Banco de Oro (BDO), Metro Bank, BPI and Land Bank, as well as Cebuana and ML Kwarta Padala the funds are available within 3 hours. When crediting banks that is not in this list, the cut off time is 10:30am for same day crediting. After cut off, the funds will be available in the afternoon of the next business day. What are the other banks that we can send money? You can send money to any other Bank in the Philippines, although if you are wanting to have the funds available quickly we suggest crediting accounts in one of our partner banks. Click here to see list of partner banks. Can I open an account for my relative or friend in the Philippines? Yes you sure can. BDO have an account which we call the Asenso Kabayan account which you can easily open for them through us here at Forex. Simply provide us with all the details of your beneficiary as well as a nominated BDO branch where the account will be opened. We suggest to open the account in the closest branch to the address of your beneficiary. Is there a limit to the amount of money I can send per transaction? In line with our AML/CTF policy, we have placed a limit to the total value any one customer can send per transaction through Forex World. This maximum value per transaction is $10,000. Please note that any transfers into our account greater than $10,000 will be refunded back to the payer which will cause delays to the transaction you are wanting to process. Forex World will not be liable for any losses incurred due to any delays caused by this or any other matter. Is there a limit to the number of transaction I can send? In line with our AML/CTF policy, we have placed a limit to the number of transaction any one customer can send within a period of time. Each customer can send up to a maximum of 5 transactions per week (7 day period). This policy applies to the sender, therefore regardless of the number of beneficiaries you send to the number of transaction is limited to 5 within a 7 day period.